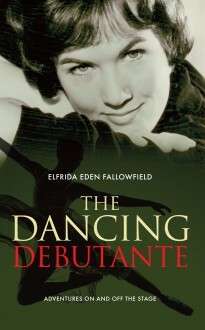 Elfrida Eden was born into a distinguished family – her uncle was Sir Anthony Eden, British Prime Minister in the mid-1950s. As one of the last of the true ‘debs’, Elfrida mingled with the stars in the 1950s and 60s and has counted many household names from the world of entertainment as lifelong friends, including David Jacobs and Derek Nimmo. She auditioned as a singer for Judy Garland at the star’s home and had to turn Norman Wisdom down when he offered her a film role (her family thought she was too young). She also turned Sean Connery down when he made a pass at her at a party, the day he was cast as James Bond. Too tall for the ballet stage herself, ‘Elfie’ went on to become one of London’s best-loved ballet teachers. Despite some moments of great sadness along the way, Elfrida has led a privileged, fascinating and exceptionally happy life, and to celebrate it she has written her story.